The large sanctuary at the Congregation B’nai Israel east of Fayetteville was filled Nov. 2 with those of all faiths who attended a service of solidarity for the victims of the Pittsburgh synagogue shootings. Photo/Ben Nelms. Standing in unity in the wake of the Oct. 27 synagogue slayings in Pittsburgh, the Congregation B’nai Israel in Fayetteville on Nov. 2 brought together a group representing Judaism, Islam and Christianity for the “Show up for Shabbat – United We Stand” service. 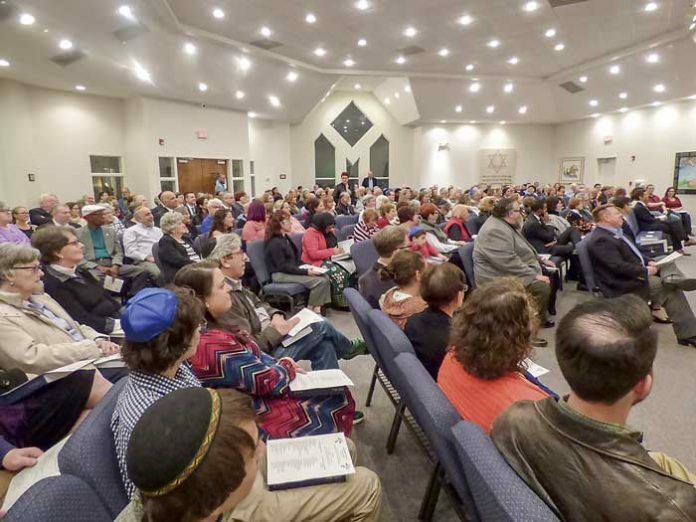 Above, the large sanctuary at the Congregation B’nai Israel east of Fayetteville was filled Nov. 2 with those of all faiths who attended a service of solidarity for the victims of the Pittsburgh synagogue shootings. Photo/Ben Nelms. Commemorating the lives lost at the Tree of Life synagogue in Pittsburgh, the large sanctuary was filled to capacity, with a large number of B’nai Israel members, Christians from many local denominations and those from the Islamic Community Center in Fayetteville. “People of all walks of life have come together in solidarity to show that evil will not be accepted,” said congregation President Ralph Ellis at the beginning of the service. The service was led by Congregation B’nai Israel Rabbi Luis Feldstein. Shabbat is Hebrew for Sabbath, with the service complete with components such as prayer and singing. The Show Up for Shabbat – United We Stand service combined the customary weekly service, in both Hebrew and English, with other components specific to the Pittsburgh slayings and with the purposeful attendance by those of the Christian and Muslim faiths. Congregation leaders explained that the intent of the service, noting that it would be consoling, spiritual, uplifting and full of prayer. The service was also solemn, with the lighting of 11 candles in commemoration of the 11 synagogue worshippers who lost their lives. Clergy from the monotheistic faiths were joined by local elected officials and social service organizations to light the candles. The Oct. 27 mass shooting in Pittsburgh occurred at the Tree of Life synagogue, where 11 worshippers were killed and six injured, including police officers. Robert D. Bowers, 46, faces federal and state charges in the mass shooting. 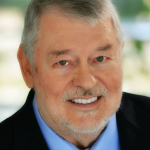 Bowers committed the deadliest anti-Semitic attack in U.S. history, according to the Anti-Defamation League. Earlier, a vigil of inspiration and comfort was held Oct. 30 at Chabad of Peachtree City on Dogwood Trail in Tyrone to commemorate the lives of the 11 people murdered. Those words were followed by the lighting of 11 candles, in memory of each of the lives lost at the Tree of Life synagogue on Oct. 27. Among those offering thoughts at the vigil of inspiration and comfort were Tyrone Mayor Eric Dial, Peachtree City Mayor Vanessa Fleisch and Fayetteville Mayor Ed Johnson. Citing the tragedy that unfolded in Pittsburgh, Mayor Fleisch said she was led to read the words of the Prayer of St. Francis. The prayer was followed by a selection from Anne Frank.